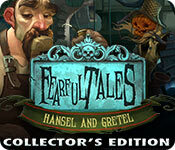 Fearful Tales: Hansel and Gretel Collector's Edition is rated 3.7 out of 5 by 91. Rated 5 out of 5 by JAYE8 from RAVENHURST UNLOCKED I LOVED THIS FROM BEGINNING TO END. EIPIX GRAPHICS WERE FANTASTIC, GOOD STORY LINE THAT COULD BE FOLLOWED. EVEN MOST OF THE PUZZLES WERE MANAGABLE IF YOU WANTED TO TAKE THE TIME. ...HOPING EIPIX PUTS OUT MORE LIKE THIS ONE. Rated 5 out of 5 by petonk from 5 STARS AMAZING GAME!!! THIS IS A MUST PLAY IN MY BOOK! !absolutely beautifull hand painted looking graphics just love its originality and the way they remixed the story of hansel and gretel its totally different! 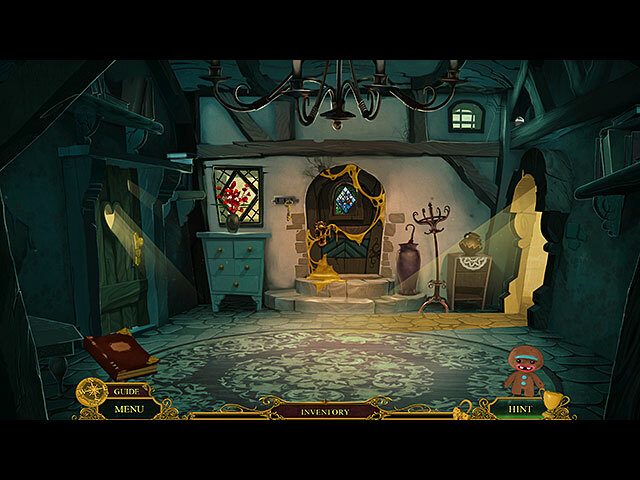 !I DONT HAVE ANYTHING BAD TO SAY ABOUT THIS GAME witch is really rare i dont give 5 STARS left and right like a lot of people do ..im a pretty harsh judge but this game got me excited the whole time just well made all around AMAZING voice acting ,perfect fiting music and sound effects ,LOVE IT LOVE IT!!! !WANT MORE LIKE THIS STYLE I MORE THEN RECOMMEND YOU HAAAAVVE TO PLAY IT NOOOOW!! 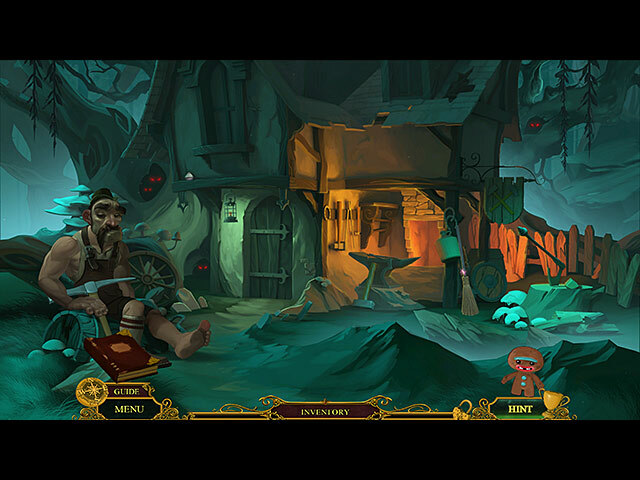 Rated 5 out of 5 by expotanne from Don't be misled by the graphics When I first opened this game to play I was very disappointed by the cartoonish type graphics, however, ten minutes in, I was hooked! 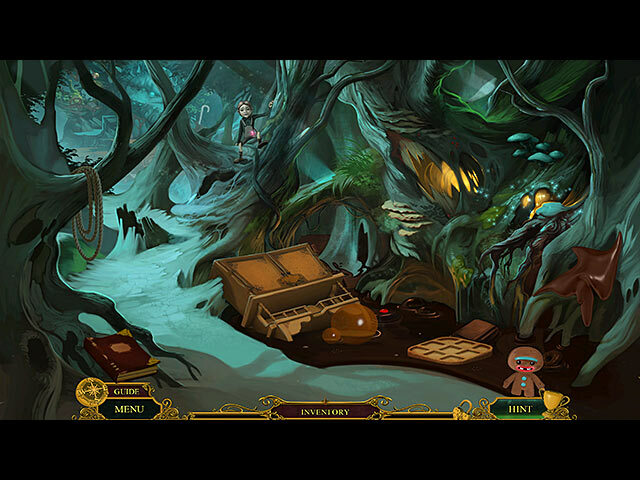 This game is exactly what is says on the tin, with a mini twist, its basically Hansel & Gretel! The little gingerbread man as a helper is fab and contributes to the story in the main game. The hint button takes you exactly where you need to be if you use it. All in all, a fab game and well worth the money. Rated 5 out of 5 by nekkrogotzmija from One of my favourite games I think this might be one of my favourite Eipix games. Artwork is beyond awesome, game is fun, puzzles are interesting and gameplay is good. Good work, guys. Rated 5 out of 5 by Totorro from Very original game I'm glad to see a developer that isn't afraid to do something original. Some players obviously don't appreciate that but an artist like me certainly does. I think that since Drawn series no one made a game with this original artwork. It has a very distinctive style and every scene is delightful. I wish there were more games like this one. Overall the game hat a grotesque like feeling thar hit the spot for me. The story was enjoyable and original. Music was whimsical and not annoying. For some players the only downside may be too many HOS. Would definately play again! Rated 5 out of 5 by robinbobbin from Beautifully made, a little short I have not purchased this game yet; I think I will, though, even though it's short. It's beautifully crafted, with perfect illustrations and interesting tasks. I really like this kind of HO scene, with a clear list and some interaction. Gameplay was well done; nothing was sticky or glitchy, no tasks were shockingly stupid/illogical, things were generally in reasonable places. Few cut scenes, and they were skippable. (yay!) Big thumbs up to the developers, make more like this, please! Rated 5 out of 5 by legalhelper from Sweet Treat Oh my goodness, this game was so up my alley! I love games based on old nursery rhymes, etc. and this one, while modest on the level of challenge, was quite fulfilling. I just wish it was a tad longer. The graphics were fantastic! The bonus game wasn't incredibly long, but was nice. You will want to pay close attention for the hidden cupcakes. I would love to see a sequel to this game in the very near future.